Fishing has been the main occupation of Balintore for centuries. The harbour was built at the end of the 19th century by the Harbour Trust, a group of local sea merchants. Increased trade in produce from local farms, winter coal deliveries, and the number of boats fishing out of the area meant that a proper anchorage was required. Before the harbour was built, boats had to land wherever it was convenient and sometimes this was on sandy beaches, such as nearby Shandwick Bay. Traditionally the beached boats were pushed off every morning by the womenfolk. The fishermen were even carried aboard on their fishwives’ backs to prevent them from getting wet before a day’s fishing! In its hey-day the harbour was a busy, lively place, with white fishing of herring, cod, haddock and flatfish taking place. Today fishing boats still ply from the harbour, looking mainly for salmon, prawn, lobster and crab. A new marina within the harbour allows a large number of leisure craft to moor safely. 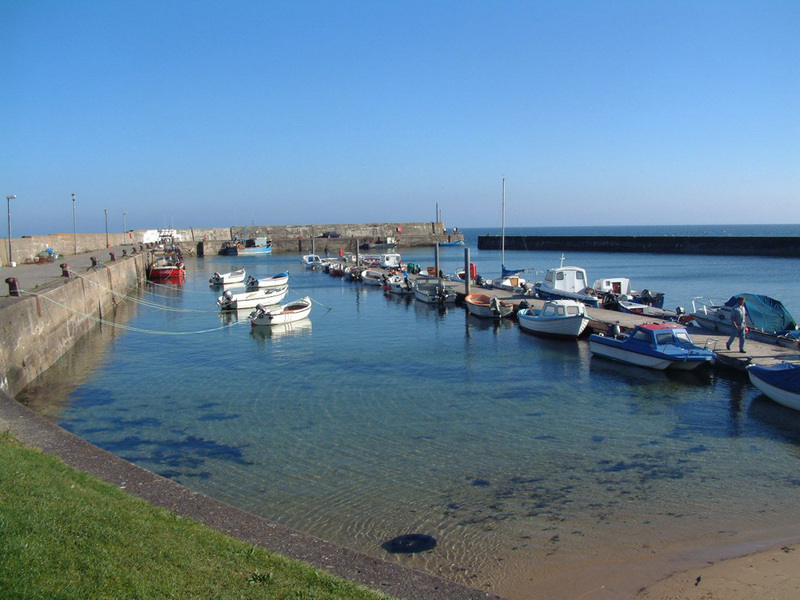 The harbour is operated by Balintore Harbour Users Group, on behalf of the Highland Council.